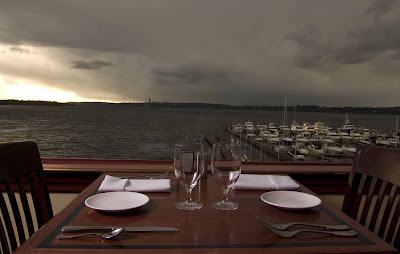 I’m sorry to report the upcoming closure of Kirkland’s Third Floor Fish Cafe, set to serve its last supper December 19. The decision to close was brought on by a slow economy coupled with the owners’ plans to remodel the expansive view restaurant. Though plans are not yet set in stone, Campbell (who’s been at the helm in the kitchen for a decade) and developer Herb Chaffey (co-owner of the third-floor restaurant and lounge in his eponymous Chaffey Building) are considering reinventing the restaurant as a 200-seat private-events facility. Third Floor Fish is open nightly though December 19, serving dinner beginning at 5 p.m. The lounge opens at 4 p.m.